Speaking of Eldritch Press, which we met in the post just below as sponsor of the HWA’s new Dark Poetry scholarship, they also, of course, publish books themselves. 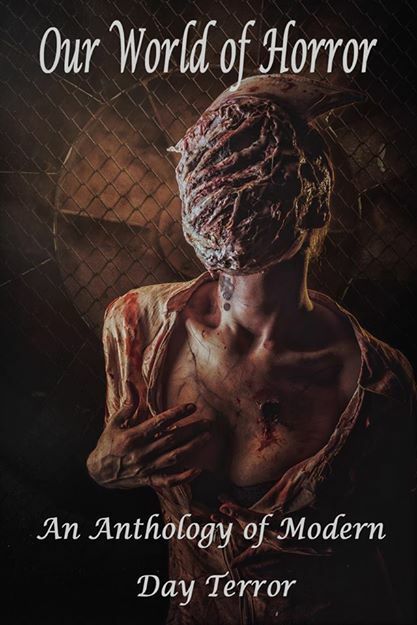 One of which has been mentioned just yesterday on their Facebook site via press owner Michael Randolph: “Update to OUR WORLD OF HORROR Anthology. All submissions have been answered. If you have an outstanding response from us, check your bulk folders, your Email accounts that no longer exist, behind your ears and let us know if we have not gotten back to you. ”Final tally was 1374 submissions with 31 (roughly, we’re all tired) submissions being chosen, plus poetry. Final word count should be roughly 100,000. . . .
”We had enough to fill a few anthos and passed over seasoned pro’s simply because we liked a different story better or the theme fit perfectly. Well, the whole statement can be found by pressing here. But to the point, yesterday evening my email was graced by Chief Editor Kevin Knowles: “James, we are inquiring if your story ‘Spider Heat’ is available, if so we’d love to include it in OUR WORLD OF HORROR anthology.” So it’s been five months, but they’d said their response times might be slow (and this is one where I’d sent the submission well before deadline). And, as I sent back in the wee hours of a mildly snowy morning (first real snow of the coming winter, though we’d had some flurries around Halloween! ), you bet “Spider Heat” — a summer story itself, set in Memphis Tennessee — is available and, at a good pay rate to boot, happy and anxious to be in its new home.